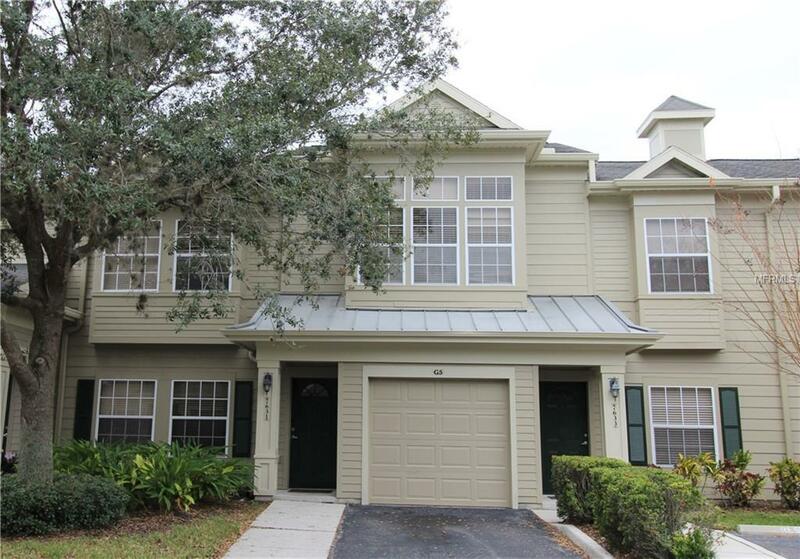 Located north of University and Honore, this 3 bedroom/2.5 bathroom townhouse is in a fabulous location. With shopping, dining, Lakewood Ranch, and I-75 just minutes away, this property is ideally situated in gated Carolina Landings. You'll love the pool, fitness room, clubhouse, and playground. Need storage space? Take advantage of walk-in closets and an attached garage. The third bedroom has a wall of windows, making it the perfect office. Custom paint and upgraded light fixtures provide a high-class feel. With the living area downstairs and the bedrooms upstairs, this floor plan provides much-needed privacy. Enjoy the large screened lanai with a picturesque lake view everyday; it's the perfect place to relax with your morning coffee! Neutral carpet and ceiling fans in the bedrooms. Upgraded kitchen with granite counter tops and solid wood cabinets. Tile in kitchen and dining area. Gorgeous dark laminate wood flooring in the living area. Appliances include: Refrigerator, Dishwasher, Range, Microwave, Washer and Dryer. Pets welcome 45lbs max. Dogs or cats, 1 dog max, no dangerous breeds . We run a complete background check that includes credit, criminal, income verification, prior landlord and eviction history. In terms of credit, we look at the entire picture as opposed to just the credit score, but in general, we do require a score over 550. Pet Restrictions Dog Or Cats 1 Dog Max 2 Cats Max. No Dangerous Breeds.